Usha has been actively involved in uplifting grass root level talent in India. 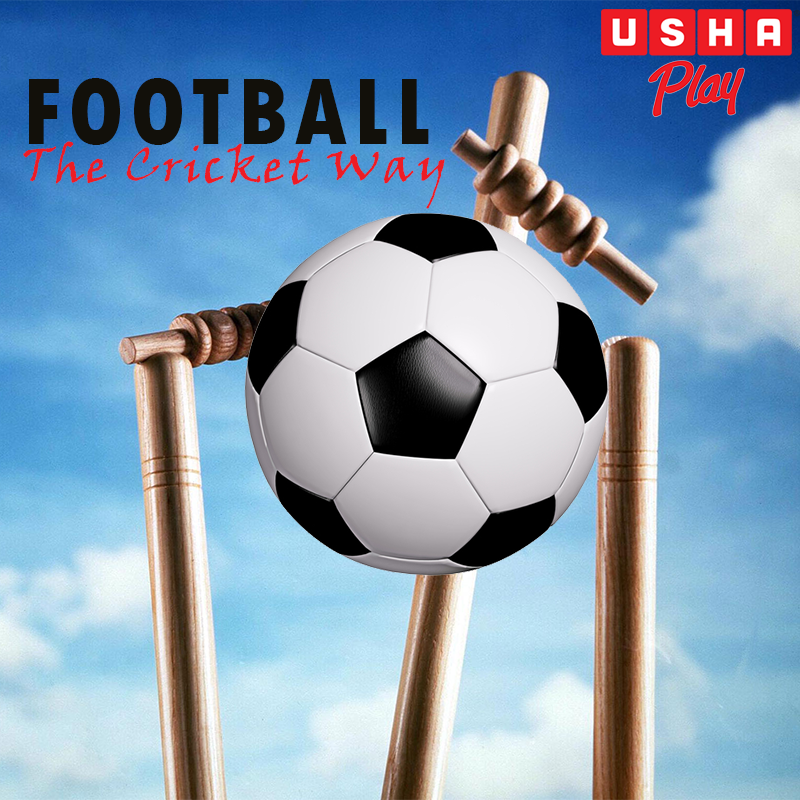 While, Usha has strategically partnered with the FC Goa team of Indian Super League 2014, the company is also sponsoring local football clubs. On December 13- 2014, the final match of Bansdroni Nabarun Club Football Tournament was played at the Usha’s factory ground in Kolkata. Although it was a grass root level tournament, yet it saw participation of 16 teams from the city and all players were decked up in their respective team jerseys. There was a lot of zeal and enthusiasm on the ground, packed with audience from different age groups. Every goal would generate high decibel sound and impromptu dance and rolling over ground to display mad happiness. Finally Sardar Para Sanghatan Samity team emerged as winners. Eminent dancer Tanushree Shankar’s group, performed on the occasion as a part of the inaugural ceremony. Mr. Sukumar Samajpati, renowned former footballer handed over the winner’s trophy along with Mr. Rajesh Tara, VP-HR, Usha International and Mr. Sandeep Mehrotra, AVP and Unit Head, Usha Kolkata Factory. 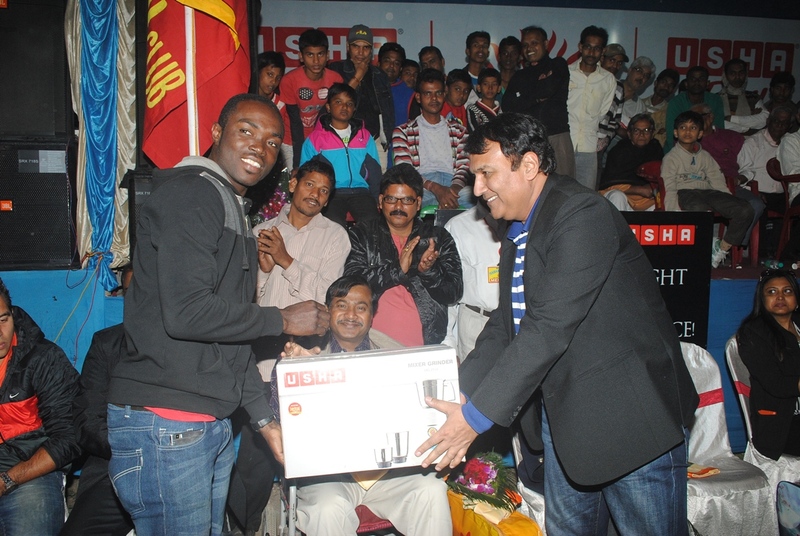 Other eminent personalities namely, Mr. Gopal Roy, Councillor and Mr. Alvito D’Cunha, renowned footballer currently with East Bengal team and former member of Indian team also marked their presence at the prize distribution ceremony. Usha has been supporting ladies and amateur Golf for over 25 years now. 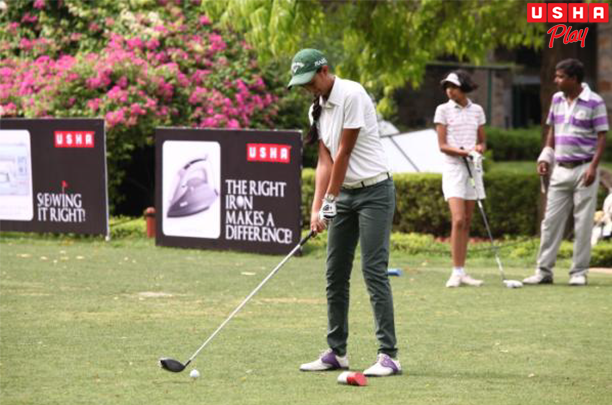 This year the Usha Eastern India Ladies and Junior Girls Golf Championship has been won by Bengaluru’s Aditi Ashok who is rank no 2 at the Indian Golf Union Circuit. The final day at the TollyGunge Golf Club, saw some nail biting action as Aditi Ashok went neck to neck with Amandeep Drall. The prizes were given away by veteran Arjuna Awardee Soma Biswas and Mr. Sandeep Mehrotra who is the unit head of Usha Fan Industries. Let’s admit it, India is a Cricket crazy nation and though as other sports gain in prominence, the country’s first love will always be cricket. Thus not surprisingly Cricket facts, records, numbers and names are at the tip of most tongues. Yes, the masses may cheer for Boxing, Football and Hockey, but when it comes to trivia Cricket takes the whole 9 yards. So taking this Road Most Taken, let’s explore the world of Football. Sir Viv Richards (need I mention he is from West Indies), was not only a great Batsman, but also a good Footballer. Being the only Cricketer to have played in both the World Cups, namely Cricket and Football; representing the Antigua Football Team in the 1974 Football World Cup. Similarly the reputed international Empire Steve Bucknor also played the referee in the World Cup qualifier between El Salvador and the Netherlands Antilles in 1988. 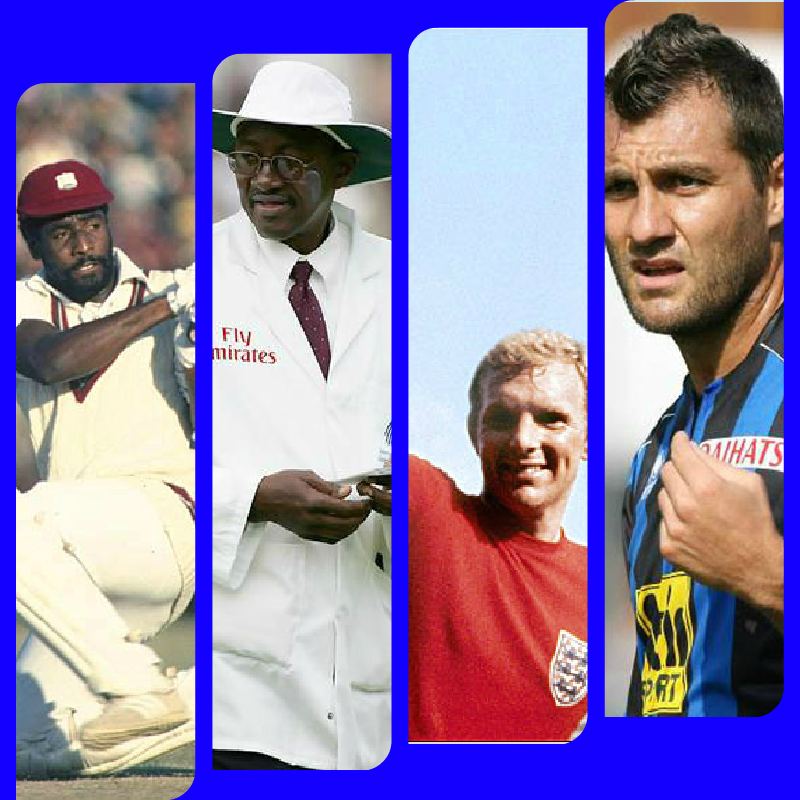 This next question goes out to all die-hard Cricket fans who live, sleep and dream Cricket: Who is Sir Bobby Moore? The answer is: He was a County Cricket player for the Essex Youth team. However, not Cricket but Football brought him glory, when England won the 1966 Football World Cup under his Captainship. The funny thing being, that people who saw him play County Cricket still swear that he played better Cricket than Football. Cricket fans will be forgiven not to know the next player. While, growing up in Australia this player harbored dreams to be a great Cricketer, idolizing the legendary Allan Border. 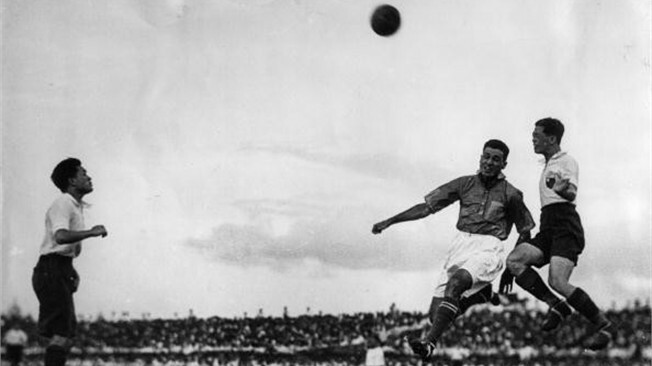 Border would later claim that the boy would have made a fine Test cricket player, if only his father hadn’t moved to Italy, where the young boy eventually became the lead striker in the Italian national Football Team. Any Guesses, who we are talking about (this one is for the Football fans)? Yes, it’s none other than Christian Vieri – the man who went on to become Italy’s highest ever goal-scorer in the FIFA World Cup. Usha International, one of the principle sponsors of FC Goa team, setup a special Usha Play zone during the match between FC Goa and Athletico De Kolkata. This zone was set up to provide football fans a lively and interactive experience on how to play with a Frisbee; a sport Usha has been associated for last three years. 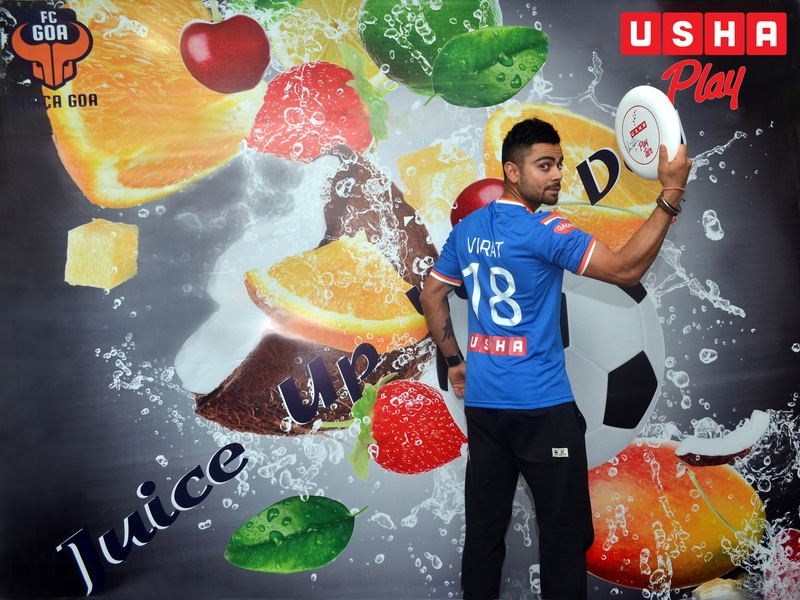 FC Goa co-owner, Virat Kohli also visited the Usha Play zone to try his hand with the Frisbee along with enthusiastic FC Goa fans. Ms. Saina Nehwal, Brand Ambassador of Usha International tried her hands on golf at the 5th Usha DGC Ladies Open Amateur Championship. She later said, that it was fun playing the game but it’s a difficult sport. Thereafter, Ms. Saina Nehwal along with Ms. Chhaya Shriram, Director Usha International Ltd., felicitated winners of the tournament. 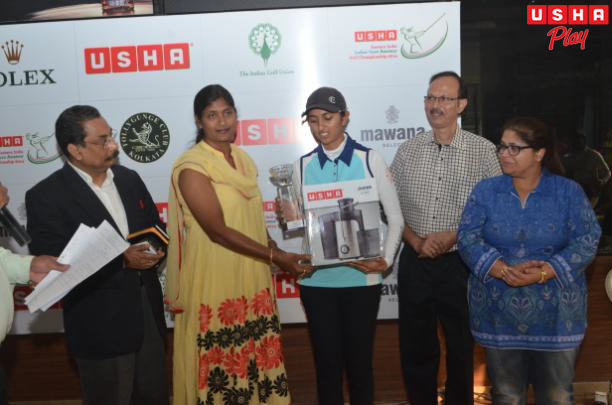 17 year old, Ms. Tvesa Malik grabbed the Usha fifth Delhi Golf Club Ladies Open Amateur title. This championship is one of the leading ladies golf tournaments on the Indian Golf Union Circuit. Saina Nehwal also spoke on her association with Usha and how the company has been consistently promoting sports across all levels. She said that it was great to see many young girls taking to golf and emphasized on the fact that more and more girls should be participating in sports. At the end, Saina Nehwal was presented with a memento by Krishna Shriram, Chairman Usha International Ltd.
Football actually originated in China, though the game’s present form took shape in Great Britain. 80% of all Footballs are manufactured in Pakistan. But none of that matters for the next two months because ISL is taking place here in India! So this goes out to all the die-hard Indian Football fans: 5 interesting football facts from our beloved home grounds that you thought you knew. 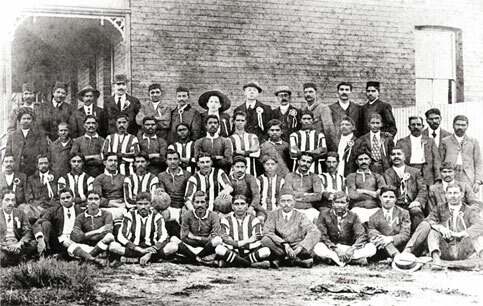 The oldest existing Football Competition outside Britain takes place in India! Yes, you heard that one right. It’s the Durand Cup, inaugurated in 1888 it remains the fourth-oldest existing football event across the globe, behind the English FA Cup, the Scottish Cup and the Welsh Cup. The Tournament is named after its founder, Sir Mortimer Durand, Foreign Secretary in charge of India from 1884 to 1894. 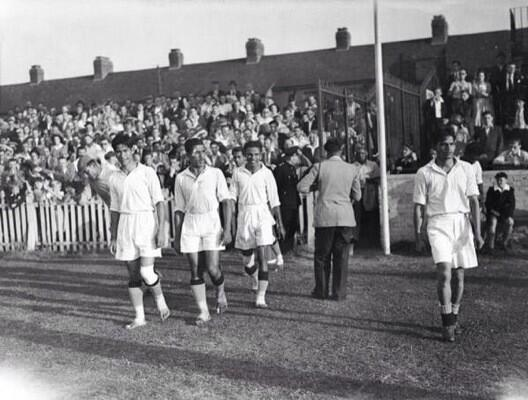 Indian Football Team 1948 Olympics. Look, no Shoes! If one were to ask what is common between Priyanka Chopra, Mary Kom and Usha, it would be Sports: The spirit that connects people and inspires them to achieve higher things. No wonder while speaking at the recent Usha Play event she stated that after Mary Kom she has developed a new-found respect for sportspersons. Usha Play provided a platform to acknowledge sportspersons and a chance to celebrate the success of the movie Mary Kom. It was gateway to a world of sports, other than cricket, where the gorgeous actress felicitated sportspersons from various Usha Initiatives spanning across the fields of Golf, Marathon and Flying Discs. The theme of the event ‘Play’ was set even before Priyanka stepped in, with Usha Executive Chairman Mr. Krishna Shriram taking the stage and later playing the Piano immaculately! The rest of the evening unfolded keeping this tune of Play on a high octave. To put to words the mood of the event in the very words of Mr. Krishna Shriram “We borrow both creativity and energy from sportspersons around us.” He went on to state that as a company Usha supports sports and the idea of ‘Play’ because it is more than just business, as sports connects and inspires. This enthusiasm was shared by Priyanka herself, who once was an avid Frisbee player, as introduced by Mr. Rajesh Tara. The felicitation ceremony began with Priyanka handing the Usha Play Trophy to Amateur Golfer Gauri Monga, followed by Arjuna Awardee Marathon runner Asha Aggarwal. The Mumbai Frisbee team came next. Both the sportspersons and the team have been part of various Usha Sporting Initiatives. Later, Director Chhaya Shriram gifted her a wonderful haberdashery basket and an Usha Janome Dream Maker Sewing Machine. Expressing her delight Priyanka said she simply adores both the gifts and her mother would love them too! She went on to felicitate three Usha Dealers – Mr. Subhash M. Rathore, Mr. Vimal Jain and Mr. Bharat Dharamshi – for their outstanding performance. And also shared the stage with various TISVA Distributors. Priyanka Chopra with TISVA Distributors. Who is Brodie Smith? No, he is not a Cricketer from Mumbai Indians Team, which also happens to be associated to be USHA. 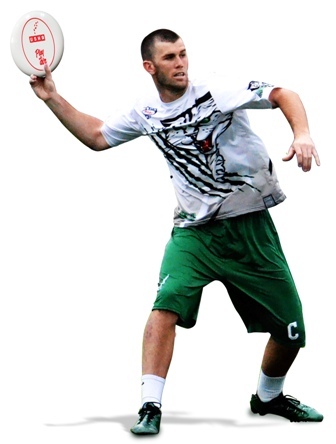 He happens to be the international Ultimate Frisbee legend, who claims “I love throwing the frisbee and playing Ultimate Frisbee,” – a fact evident by his numerous YouTube Videos. 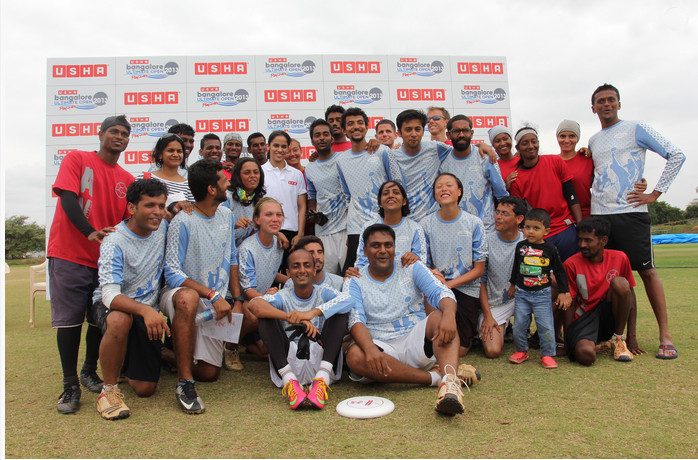 Usha International as part of its Usha Sports Initiatives roped in the Frisbee legend in 2012 to promote the sport in India, during the Usha Ultimate Delhi-ght Frisbee Tournament. For those of you who think Frisbee is just about throwing a Flying Discs around, you couldn’t be more wrong. Besides the usual exercise and workout that any game contributes towards a healthy body and sound mind, an Ultimate Frisbee game does more! 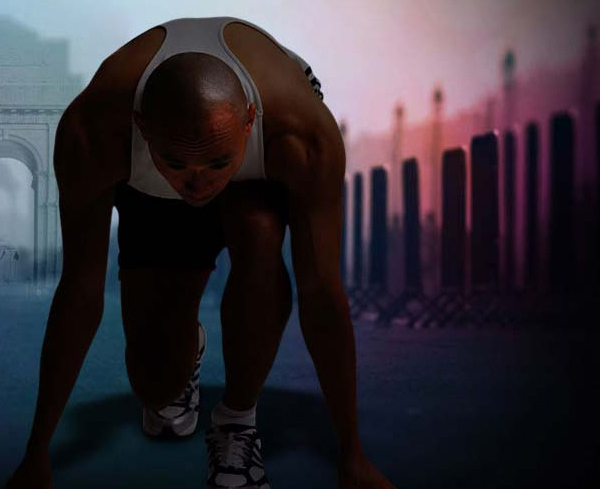 To begin with the game ensures a full body workout as all parts of your body are involved whether you are jumping to catch a disc or running around trailing one. And with each throw your hand muscles get the necessary action too. For this one we are going to go a little medical: A 30 minutes game of Ultimate Frisbee ensures a healthy dose happy hormones like endorphins to boost your mood. And remember our point on the ‘Spirit of the Game’ rule add that to your happy hormones and you start making friends as the game progresses even with your opponents. Yes, this is social networking on the field. Try it, it is better than Facebook! Not many of you have heard about the Rath India Open Marathon, which first took place in 1982 coinciding with the 9th Asian Games, but many among you have participated in it! Don’t be surprised, as today it is better known as the Mawana Indian Open Marathon. It is one of the oldest running (pun intended) sports event in the country. A part of USHA sports Initiatives it has produced leading women athletes like Asha Aggarwal, Sunita Godara, Suman Mehta Rawat, and Rigzen Angmo. Some of them went on to be awarded the coveted Arjuna Awards. Today the Marathon occupies a special place in the sports calendar of AFI. Keeping this glorious tradition alive, the route of the Marathon makes it a point to run through some of the most magnificent historical landmarks in Delhi. In the past it has been routed through the likes of India Gate, Jantar Mantar, All India Radio and Connaught Place. It also bears the distinction for being the first Marathon to test run the race route proposed for the 2010 Commonwealth Games. And at the end of it, it is not just another walk (rather run) around the parks of Delhi, for every year the Marathon takes up a noble cause. In the past it has taken up a diverse range of causes from environmental protection to earthquake relief, depending on what the country needs the most. 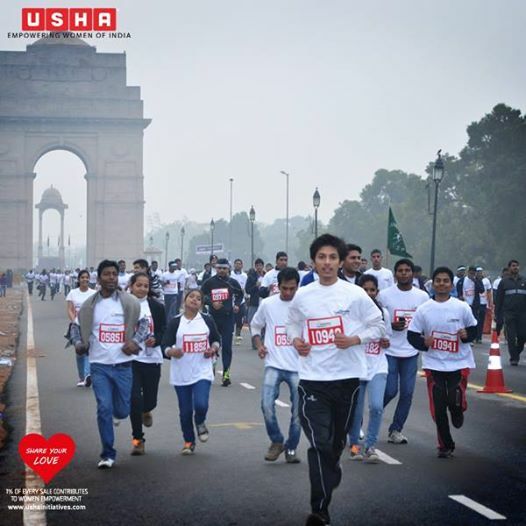 Will you be running with USHA in the next Marathon?